Interested in staying up-to-date with the latest evidence-based nutrition news and content? Or hearing extra insights from me? Once a week I send out a short bullet-point list of my recommendations of the best content from around the web that week. 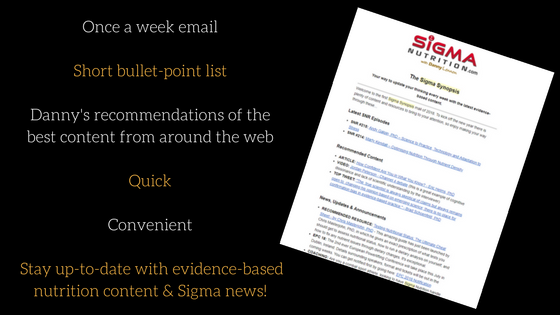 It’s quickest and most convenient way to stay up-to-date with evidence-based nutrition news! Click the button below to get access to the emails! I want to receive the Sigma Synopsis emails!